I recently caught up with Nick Payne’s Constellations and was in awe of both the writing and actors’ technique. The Human Ear is another tightly written piece that relies on the two actors working extremely closely together. This is a Paines Plough production and is an example of the very high standard of most of the work at this year’s Edinburgh Fringe Festival. The dialogue is carefully plotted. 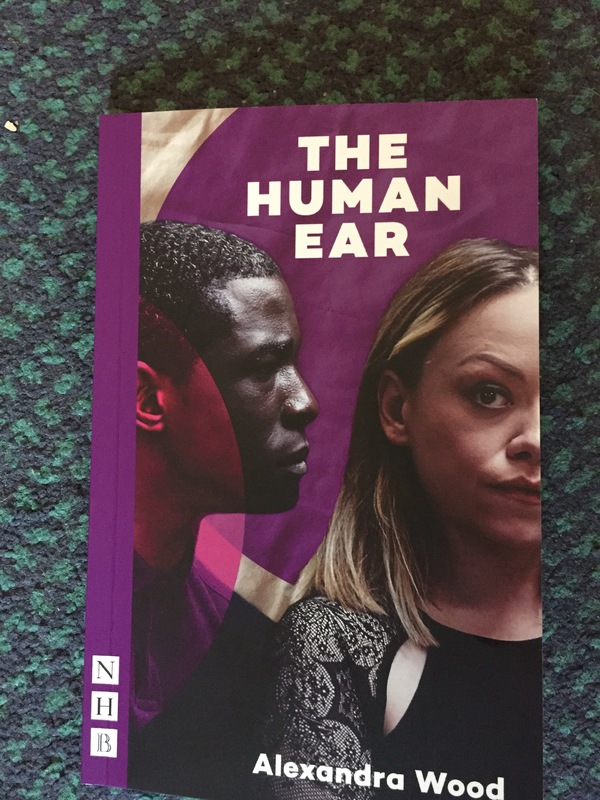 The human ear is literally an image that appears in the play, but it is also an image for the attention that the audience has to pay to listening to what is being presented to them. As an audience member you have to do a lot of the work in piecing together what you hear. I only went to this because the production I had booked for had been cancelled and I was so pleased that I managed to see what was a thrilling piece of drama.